Helsinki-based MVision developed AI software focusing on radiation treatment planning. Clinical use of the software was deployed in two Finnish hospitals last week. Radiotherapy plays an important role in cancer treatment. For each cancer patient receiving radiation treatment, a detailed treatment plan is compiled to determine where and how radiotherapy is delivered. Factors to consider in a treatment plan include the size and location of the tumor, as well as possible metastases. Thus far, a physician has had to define the radiotherapy target by manually delineating structures onto multiple X-ray image slices of the patient. These images can range in the hundreds and the plotting of critical tissue structures in the dozens, leading to a time-consuming process that is prone to errors. MVision’s AI has been trained with image sets from hundreds of patients, allowing the software to delineate critical tissue structures automatically for a physician to review and approve. AI in radiation treatment planning benefits cancer patients all around the world”, says CEO of MVision, Mahmudul Hasan. “On January 23rd, we started with radiotherapy treatment planning using AI in two hospitals; the Department of Oncology and Radiotherapy at the Turku University Hospital (Tyks) and the Docrates Cancer Center in Helsinki. The initial deployment of the AI software is aimed at prostate cancer patients, but soon the software will accommodate other cancer sites as well, including head and neck cancers, and breast cancer. AI enables a more personalized care for cancer patients. 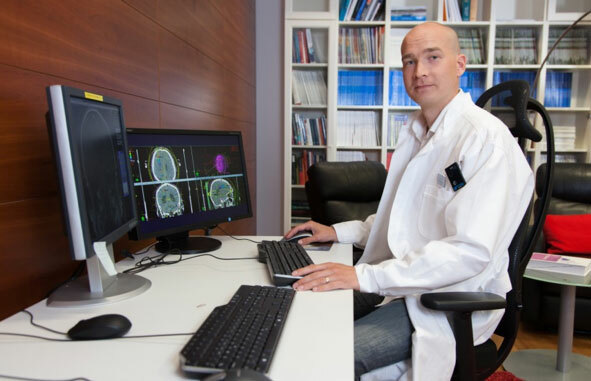 As the software takes care of the core process of radiation treatment planning, the physician can focus more on the individual needs of the patient, such as taking the spread and aggressiveness of the cancer into consideration”, says adjunct professor and medical physicist Timo Kiljunen from Docrates Cancer Center. AI speeds up a physician’s job and allows for repeated and uniform treatment plans on a hospital level, not only on an individual physician’s level. With a high number of cancer patients, having quick treatment planning can also help with waiting times”, states Professor and Head of Tyks Department of Oncology and Radiotherapy, Heikki Minn.
For its next step, MVision is seeking to enter the global market. “As the number of cancer patients continues to grow, a critical shortage of skilled hospital staff continues to exist in many European countries. This problem can be alleviated with the help of our AI, while ensuring a high and uniform quality of radiation treatment for all patients, which also helps with the waiting times“, describes Hasan. For example, The Guardian recently published an article on the long waiting times for cancer treatment in the UK. 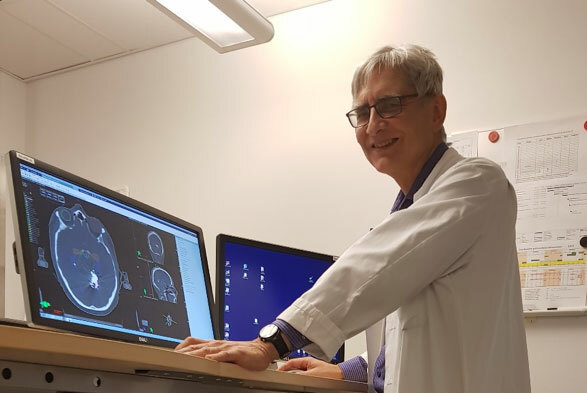 Chief Physician at the Turku University Hospital Department of Oncology and Radiotherapy Heikki Minn examining the delineated organs and target volume. Currently, the most significant source of error in radiation treatment planning comes from the evaluation of the area of treatment. * With an AI-based software, uniform results are produced, decreasing the possibility of human error. The AI is also constantly learning to speed up and improve its delineations of structures. The result always requires a physician’s examination and, if necessary, allows for the physician to adjust the target and organs-at-risk delineation. When the delineation task is complete, a medical physicist or radiotherapy technologist elaborates an optimised radiation treatment plan. “In the future, AI is going to be part of radiotherapy dose calculation and even cancer diagnosis, e.g. MRI-targeted biopsy”, Timo Kiljunen foresees. MVision is a Finnish company focusing on development of AI software in medical imaging. MVision was established in 2017 and is funded by Business Finland and Icebreaker.vc, among others. The company is recruiting to support the international growth. MVision collaborators are Turku, Kuopio and Oulu University clinics, Docrates Cancer Center (Helsinki), North Estonia Medical Centre (Tallinn), and National Cancer Center Singapore.